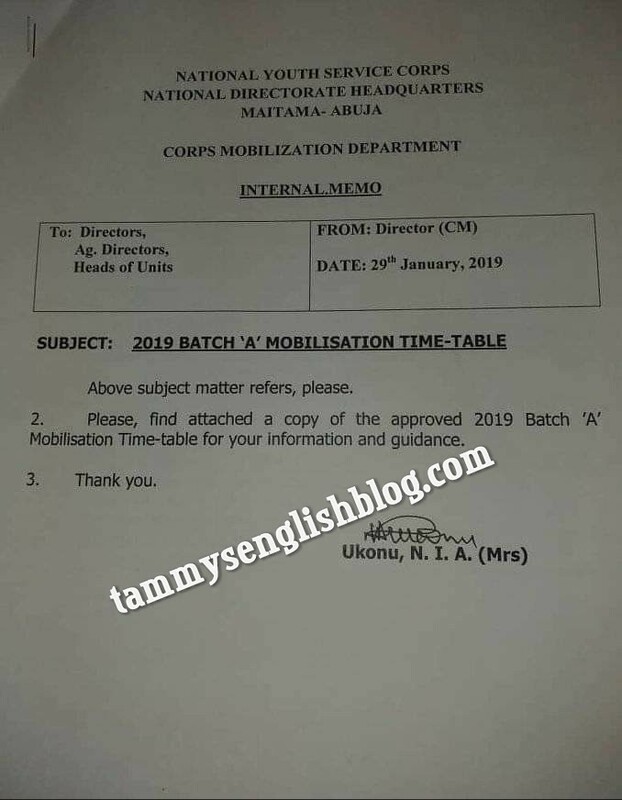 This is to inform all Prospective Corps Members (PCMs), tertiary institutions and the general public that the National Youth Service Corps (NYSC) has, at its national headquarters, Abuja, published the 2019 Batch 'A' mobilization timetable. 1. 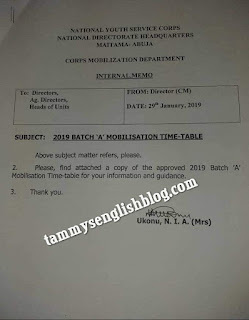 2018 Batch 'C' post mobilization workshop – 10th – 12th December, 2019. 2. 2019 Batch 'A' pre-mobilization workshop – 4th – 8th February, 2019. 3. Briefing/Sensitization of final year students/PCMs – 11th February – 10th March, 2019. 4. 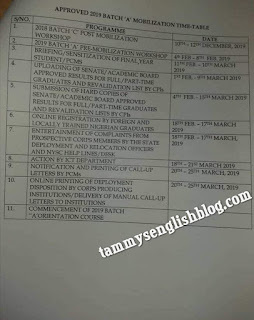 Uploading of Senate/Academic Board approved results for full-time/part-time graduates and revalidation list by CPIs – 1st February – 9th March, 2019. 5. Submission of hard copies of Senate/Academic Board approved results for full-time/part-time graduates and revalidation list by CPIs – 4th February – 15th March, 2019. 6. 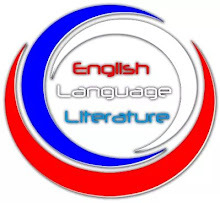 Online registration by foreign and locally trained Nigerian graduates – 18th February – 17th March, 2019. 7. 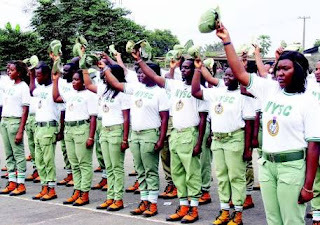 Entertainment of complaints from prospective corps members by the State Deployment and Relocation officers and NYSC Helplines/desk – 18th February – 17th March, 2019. 8. Action by ICT Department – 18th – 21st March, 2019. 9. Notification and printing of call up letters by PCMs – 20th – 25th March, 2019. 10. 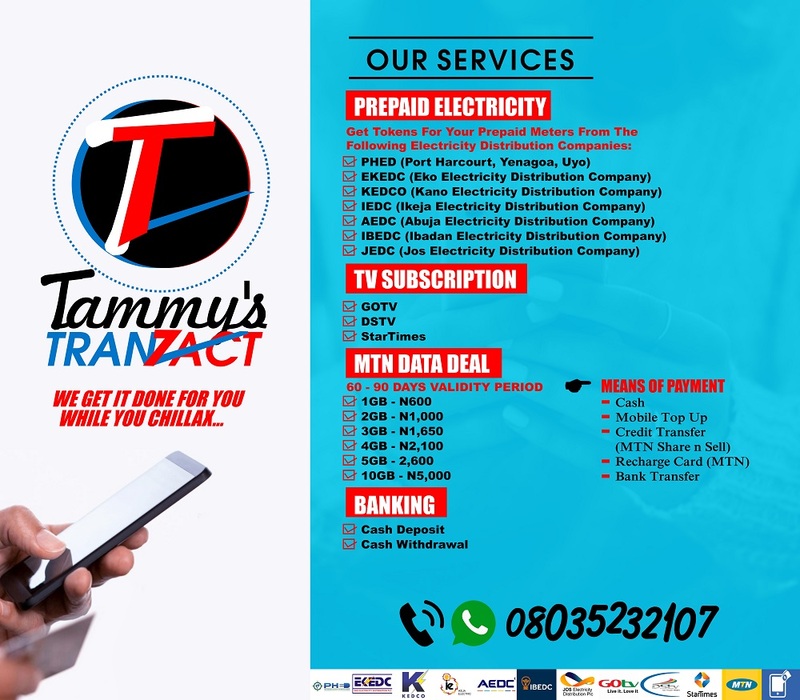 Online printing and deployment disposition by corps producing institutions/Delivery of manual call up letters to institutions – 20th – 25th, March, 2019. 11. Commencement of 2019 Batch 'A' orientation course – No date yet.